This is one of the most important aspects of a website. You will need to choose a name that suits your buiness and that people will be able to remember. When choosing a name think like a customer, what would a potential visitor type in to get to your website. People do not type characters such as dashes(-) dots(.) or stars(*) when searching, so try to get a domain name without such characters. It may take time to find the perfect domain name, but in the end worth it! When choosing a domain name for your website, you should consider different variations of the name. Keep in mind that you want to have a domain name that is easy to remember and rolls off the tongue. That comes in handy when you market your website later. 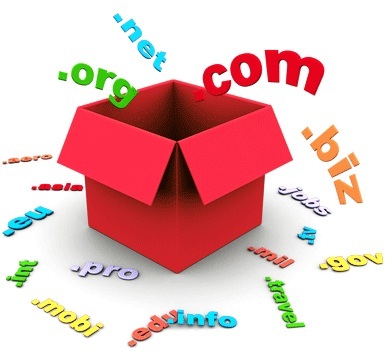 Domain names function on the Internet similar to a physical address in the physical world. Just like any other specific identification label, a domain name is unique. Each part of the domain name provides specific information. These pieces of information enable web browsers to locate the web page. The naming system is closely regulated in order to prevent confusion or duplicate addresses. As demand increased exponentially, a new Internet Protocol version was created to expand the amount of domain names available. A good place to look for a domain name is Go Daddy. With over 56 million sold, they are the biggest and the best in the industry. They offer many extensions as well as an affordable price. Most designers can easily work with Go Daddy, when necessary because of their professional tech support. Besides, why would you want to pay more and get less from anywhere else. When getting a domain name it is always a good idea to spend the extra $10 or so on "Privacy". This is not a requirement, it merely is like having an unlisted telephone number. The reason for this is simply to keep internet preditors from getting your personal information. When you include "Privacy" to your domain name, only the government or a court can get your personal information. That keeps you from being bothered by scam artists or fraudulent claims from criminals. There have been recent activities involving companies sending out extortion letters demanding money for copyrighted pictures. If these claims were actual claims, these people would have been notified by an attorney or a court. But since their name, address, and telephone numbers were made available to anyone on the internet, they became victims of an internet scam. Build Websites Cheap wants everyone to safely enjoy having (owning) a website, which is also a special event. When you are wanting to purchase your unique domain name consider purchasing from a company that also offers a hosting plan. That way you can manage your entire website all in one account. This can work out to your advantage by not having to keep up with different renewal times and accounts. This can prove important, considering if you miss a renewal date your website could be cancelled and dissappear from the internet. Having your domain name in the same place as your hosting keeps from having to re-direct DNS settings too. Many companies offer discounted domains or sometimes even free domains when you purchase a hosting plan. Search through them to find the best available offer that suits your needs. If you need assistance Build Websites Cheap will help guide you through this process.